Ask any company, and chances are they’ll tell you how much they love their customers. But are they willing to take that love to the next level and play matchmaker? Never one to shy away from a reporting assignment, I took to Sizzl for a spin. I mean, I am single and rank bacon as one of my favorite foods. What could go wrong? 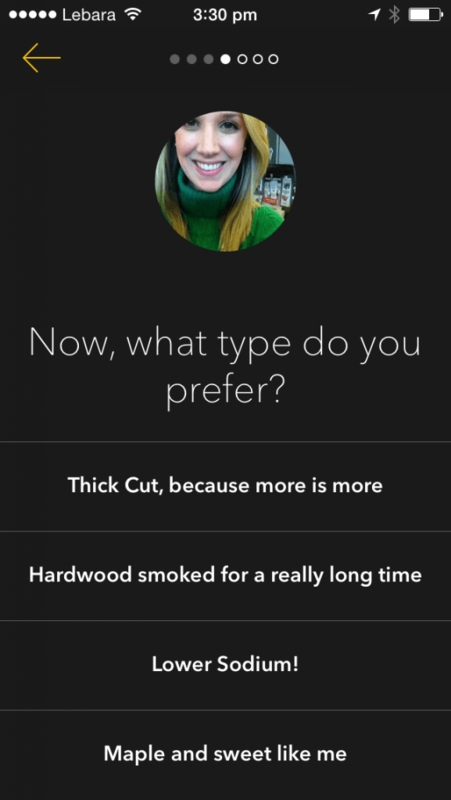 Like other dating apps, Sizzl starts by asking about your type—type of bacon you prefer, that is. Then Sizzl serves up some thought-provoking (and somewhat intense) questions to determine your character. Clearly, bacon lovers need to prove their loyalty and knowledge of the proper type of bacon to eat. 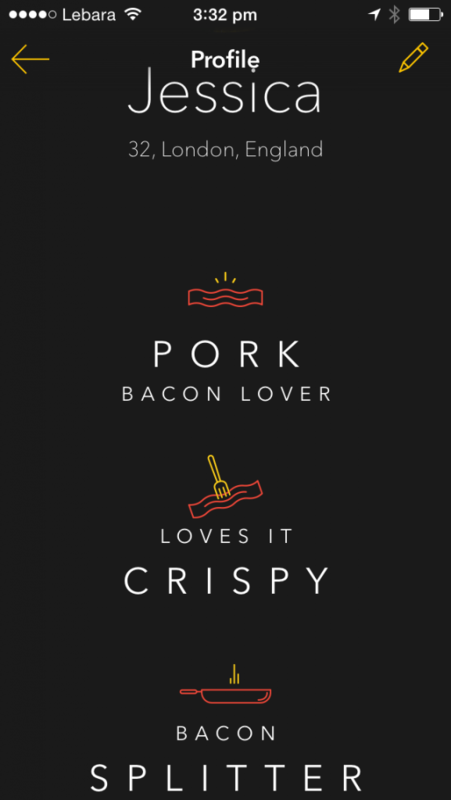 Sizzl also takes care to match you with others who have the same bacon preferences—because, um, that’s a dealbreaker. After several more questions, your Sizzl profile is complete, and the fun begins. 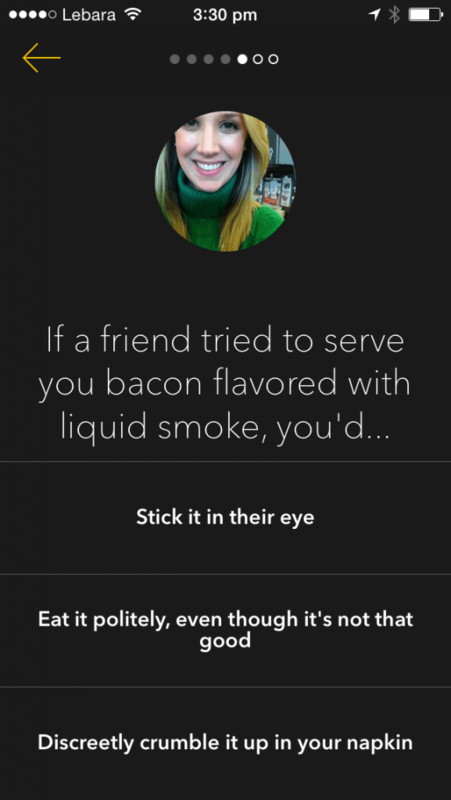 Based on your answers, Sizzl matches people up with like-minded bacon lovers. Similar to other dating apps, there’s an option to “heart” or “x”-out potential bacon-loving partners. Even though this is most likely targeted to the U.S. market, this intrepid reporter in London discovered quite a few potential matches across the pond. While the app was easy to use and entertaining, it would be great if Oscar Mayer could factor the ability to select age preferences into the user experience. Bacon lovers clearly come in all age ranges, but this 32-year old reporter prefers her bacon-loving suitors a bit more aged to perfection—in other words, not 24. 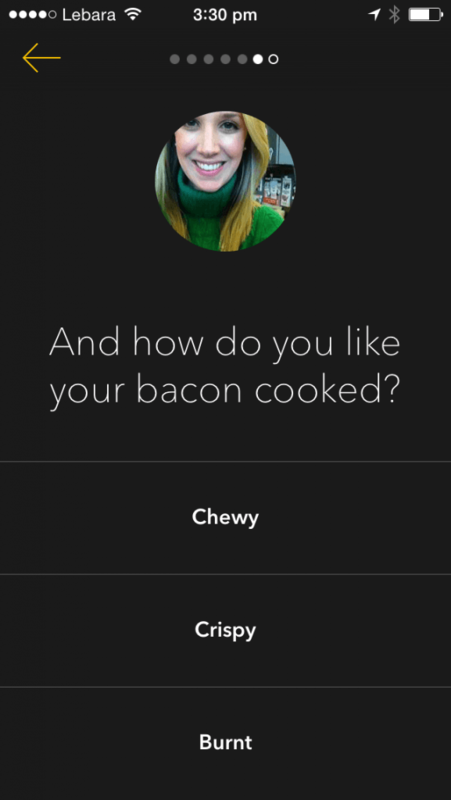 While this reporter has yet to meet her bacon-loving match, Oscar Mayer’s Sizzl app offers a great reminder of the power customer connections have to differentiate you company. In the era of customer experience management, companies often focus on programs that build connections between the consumer and their brand. From personalized content to epic surprise and delight campaigns, it’s clear that these bespoke experiences drive customer loyalty and will continue to add value. But, taking Oscar Mayer’s Sizzl app as an example, what if companies could also drive meaningful customer experiences by using their brand equity to connect consumers with one another? Companies like Dell and Weight Watchers have done this for some time through community forums and blogs seeking to educate, inspire, challenge, and motivate based on shared interests. Given the success of these communities, a dating app for bacon lovers doesn’t seem so far-fetched. If anything, it’s a hyper-targeted effort, with the publicity potential to generate awareness and a bit of amusement from bacon-loving individuals, single or not. However, by connecting like-minded individuals through communities or apps, companies are no longer steering the conversation—a scary prospect for some. Instead, companies create these types of communities or apps in the hopes that customers will speak on their behalf and evangelize their offerings. Compared to social media sites, these communities are “owned” by the brand and thus more targeted and curated. The challenge and opportunity for Oscar Mayer will be to see if Sizzl can pass the test of time to drive sustainable engagement. Who knows—maybe some of those bacon loving singles (like this reporter) will meet up and find the one? Whether it’s a shared love for bacon, an interest in staying fit, or dreaming up the latest technology innovations, don’t underestimate the power your brand has to facilitate meaningful customer connections and experiences based on shared interests.